Amazon Prime Music has arrived in the UK, bringing with it 1 million tracks to stream and download for free - as long as you are an Amazon Prime member. Amazon Prime has become something of a burgeoning beast since its beginnings in the UK some eight years ago. It was initially created to serve those who wanted next day delivery on their Amazon goods, but this has expanded to include book rentals, photo archiving and its very own Netflix rival Amazon Prime Instant Video. Sign up for the Amazon Prime trial. All of this currently costs £79 and now comes bundled with Amazon Prime Music. 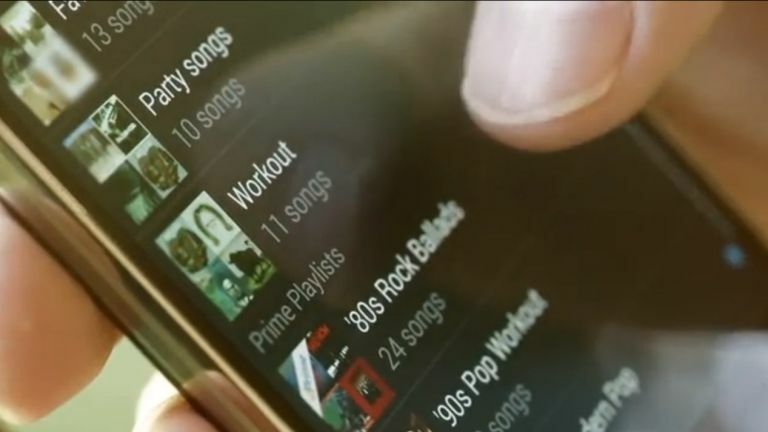 Prime Music has been available in the US for a year and its biggest lure, according to Amazon, it its playlist functionality. There's hundreds of them and they have been completely reconfigured from the ground up for the UK launch - the Feel Good Hip-Hop playlist will be different in the UK and the US, and so on. Although there are 'only' 1 million tracks available - Spotify currently boasts over 30 million - Amazon was keen to point out to T3 that Prime Music shouldn't be seen as a rival. It is trying to target a market that may not yet have thought about trying out streaming and giving it to them as part of the Amazon Prime bundle. Amazon Prime Music is available in the UK now and is available on Android, iOS, Fire devices and the web.